Valley Academy Turkey Trot Excitement! Move-in Day at RTS Valley Academy is approaching fast! 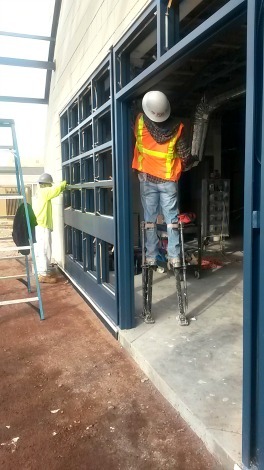 The plan is to greet students in the new Administration building when they return from Winter Break. The preschool and kindergarten classes will be fully stocked and ready for learning by then. 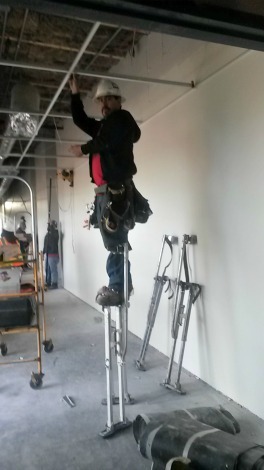 Right now the last tasks are being completed. 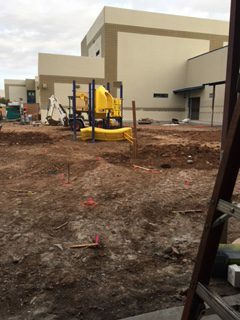 This week whiteboards will be hung, landscaping will be planted, and the cushioned playground surface will be poured. While the students are on break, the floors will be cleaned and waxed, carpets will be vacuumed, and the final walk through will take place. If all goes as planned, teachers will move in during the second week of break, and everything will be be in place for the students’ return on January 9th. 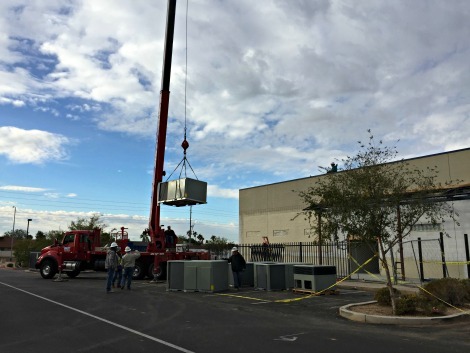 Below, the all-important air conditioning units are lifted by crane to the roof. 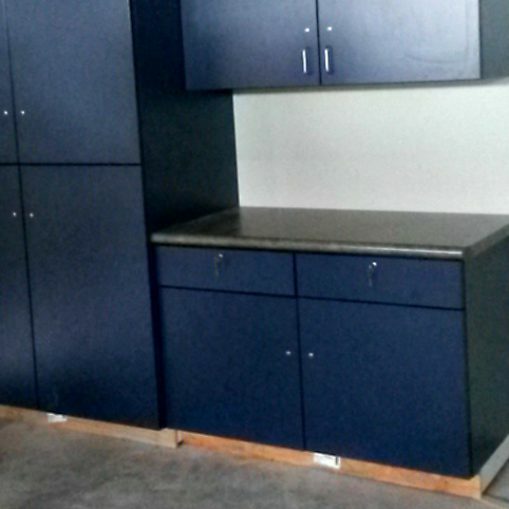 The classrooms, Kindergarten Multipurpose Room, and VAPO room will all have ample storage units. 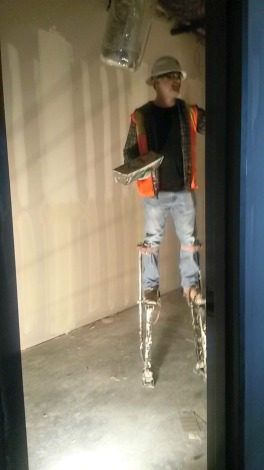 [twocol_one] [/twocol_one] [twocol_one_last] [/twocol_one_last]It looks like ladders are an unnecessary inconvenience to these workers on stilts! 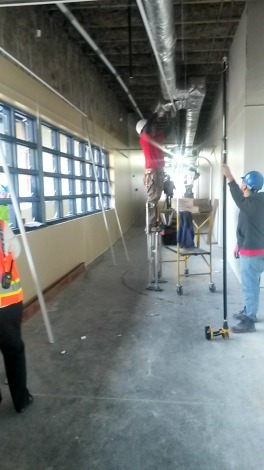 Here they are installing the ceiling in the main Kindergarten hallway, taping the drywall in an office, and prepping the main entry doorway. 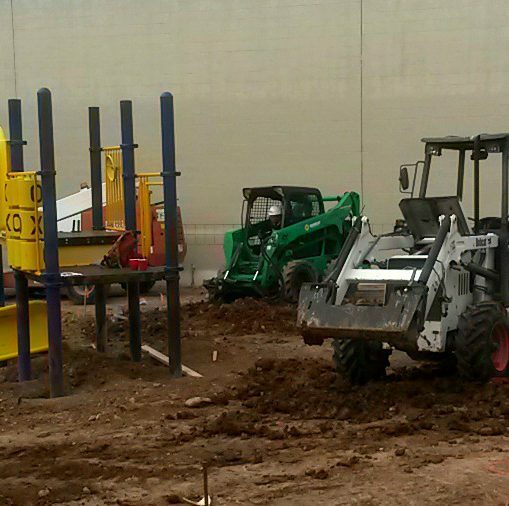 [fourcol_one] [/fourcol_one] [fourcol_one] [/fourcol_one] [fourcol_one] [/fourcol_one] [fourcol_one_last] [/fourcol_one_last]In a preview of things to come, these full size earth movers prepare the playground where soon students will dig and build in their new sand play area. The play structure has been freshly painted and will soon be ready to climb up and slide down.